The much hyped Right to Information Bill, which was presented in Parliament in March suffered a setback today, after the Supreme Court ruled that certain clauses of the bill was in violation of the Constitution, and steps must be taken to amend them accordingly. 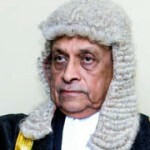 The Court also ordered that the bill must be passed by a special majority in Parliament, if it is to be made a law in the country, Speaker Karu Jayasuriya told Parliament today. 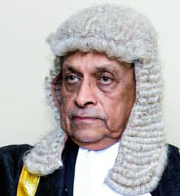 The Right to Information Bill was presented in Parliament on March 24 by Mass Media and Parliamentary Reforms Minister Gayantha Karunathilaka. The Right to Information Bill provides for the establishment of the right to Information Commission, setting out the procedures for obtaining information and for matters connected, in an effort to uphold the people’s right to know. The Bill which is one of the main pledges as part of President Sirisena’s 100 day work programme, received Cabinet approval in December last year. what will not face in this setback if any good move is being just introduced. That proves the nature of majority idiots that are constantly being manipulated by Wimal Weerawanses, Gonmanpilasa and the like paranoid and political parasites. These men should be hung by their balls then only those folks will turn their prion filled mind sets for good. As president once told, no sufficient info are flown to the ground level people, and that is why these men born to become rascals have taken ground…. that is literally the truth. Now who is pulling the strings in which way. What led the Supreme Court to get involved or more to the point who wanted the Supreme Court to get involved. Who is afraid of information being made public? Nagananda Kodituwakku can you please enlighten us. There is something rotten with this bill as well. Can someone write a good article explaining the RTI, why did supreme court block it? What is taking this government so long to get it installed as the last Asian country lacking the RTI. And once installed, will Sri Lankan journalist take advantage of it, or keep writing “Daily Mirror Style” articles without picking up the telephone to dig deeper, or use brain cells to think more critical? Journalism in Sri Lanka is very much like the rail road tracks – like an old man once told me in the train from Colombo to Trinco: “this train was more comfortable and faster in the 50s than it is today”. Is this the Gyantha, who wasn’t happy about the Secretary Bopage warning the media about their reporting. May be Bopage is smarter than the boss. Then again , it doesn’t need much to be smarter than these Yahapalana ministers. A classic example is the Singaporean. He puts a ban on CB staff giving info to the Press Pack. Now the Singaporean hands in an invoice to the Accounts Payable for a suit bought from the States which cost LKR 2 Miilon. That is nearly USD 18,000. It must be a hell of F****** suit. I don’t thin even Mr Trump indulges in such luxury.. I am glad my Dalit mates don’t pay Yahapalana Income Tax..